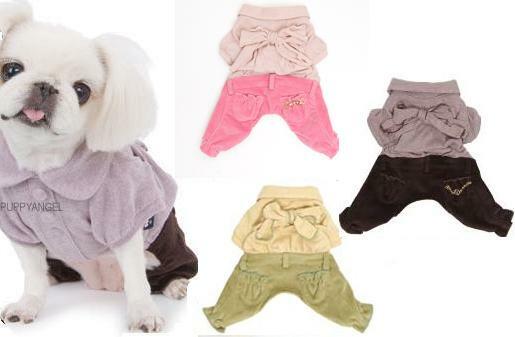 Soft and wearable these cute doggie overalls have been made with very soft and stretchy velour. The button down top has cute puffed sleeves and two lengths of trimmed fabric that can be tied to make a bow. The trousers are made of a contrasting colour complete with belt loops and the pockets are lightly elasticated and adorned in gold chains. will look very regal indeed! Washable at 30 degrees although can be dry cleaned.